4 FINI Inc. announced today the star-studded line-up for its highly popular Country Throwdown Tour. The third-annual, outdoor amphitheater trek will feature an impressive lineup that will deliver energy-packed, exhilarating performances to eager country fans in 20 cities. Joining headliner Gary Allan, recording artists Josh Thompson, Eric Paslay, and Sunny Sweeney round out the high-profile lineup for the nationwide country music tour that will kick off in Gulfport, Mississippi on May 18 and run through July 8. Special guests on many tour stops, Rodney Atkins (June 1-30) and Justin Moore (May 18-27) will join the roster of superstars and newcomers for the ultimate country music experience. Gary Allan, country’s modern day outlaw, has won over legions of fans with his signature blend of rugged vocals, rebellious lyrics and raucous live performances. With more than seven million chart-topping albums sold and nearly a dozen Top 10 hits to his credit, Allan sets the tone for what promises to be a dynamic concert event in each and every tour city. Tour co-founder and co-producer, Kevin Lyman says "This tour continues to put some of the finest established artists front and center with their loyal fans, and we are thrilled to be celebrating our third year. The lineup of up-and-coming talent brings an exciting dimension to the festivities, and we look forward to sharing more information about the Bluebird Cafe Stage in the coming weeks." The only tour of its kind in the world of country music, Country Throwdown Tour 2012 brings together top-selling artists with talented, emerging singer-songwriters in a festival environment where fans enjoy a constant stream of music on multiple stages all day long. In addition to the performances on two main stages, the Bluebird Cafe Stage will spotlight the talents of emerging singer-songwriters as they perform intimate “in the round” sets throughout the day along with nightly performances during main stage set changes. Artists for the much-anticipated Bluebird Cafe Stage will be announced in the coming weeks. In addition to top-notch music, Country Throwdown 2012 offers eager fans a full concourse of lifestyle attractions and vendors at an affordable ticket price. Doors to each venue open at 3 p.m., and the entertainment continues until 11 p.m.
Tickets are ON SALE NOW in select cities. For more information or to purchase tickets visit www.countrythrowdown.com. 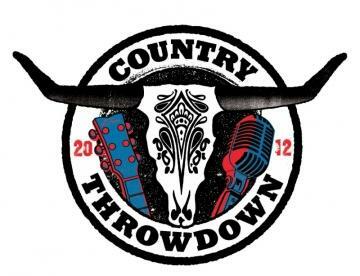 MORE DETAILS TO BE ANNOUNCED SOON at www.countrythrowdown.com.